More than 55,000 people are injured and more than 2,200 people are killed each year due to motorcycle accidents. According to the National Highway Traffic Safety Administration, motorcyclists are much more likely to be involved in a crash than operators of passenger cars. Statistics indicate that in 2014, there were a total of 92,000 motorcyclists injured and over 4,500 deaths. Based off those numbers, motorcyclists were 27 times more likely to be killed in a crash, and almost five times more likely to be injured than passenger car drivers. It was also reported that almost 40% of those killed in motorcycle accidents were not wearing a helmet. Over the course of 2013, there were a total 4,668 deaths in motorcycle crashes and over 88,000 injuries. More than 50 out of every 100,000 registered motorcyclists were involved in a fatal crash, compared to only nine out of 100,000 registered passenger car drivers. NHTSA estimates that helmets helped save over 1,600 lives in 2013 and could have saved over 700 more lives had the victims been wearing helmets. It is reported that states without universal helmet laws accounted for almost 60% of the motorcyclists killed, compared to only 8% in states with universal helmet laws. This has since caused the use of DOT-complaint motorcycle helmets to increase to over 60%. NHTSA also stated that almost 30% of motorcyclists involved in fatal crashes throughout 2014, had BAC levels of 0.8 or higher, compared to only 22% of passenger car drivers involved in fatal crashes. It was also stated that 28% had invalid drivers licenses, and 33% were speeding. Comparatively, only 13% of passenger car drivers involved in fatal crashes had invalid licenses and only 20% were speeding. Beautiful weather comes at a price, especially for motorcyclists in Florida. As far as motorcycle deaths go, the state of Florida leads the entire nation with motorcyclists accounting for almost 20% of motor vehicle fatalities throughout the state, while making up for under 10% of licensed motorists. Based off a recent survey taken by AAA Consumer Pulse, even though the economic costs of each motorcycle fatality is over $1.4 million, almost 20% of motorcyclists do not have insurance. These economic costs include property damage, medical costs, legal and court fees, emergency service costs, insurance administration costs, work losses, and loss of productivity. Through the recent survey taken by AAA Consumer Pulse, the general population was asked if they believe motorcyclists should be required to wear helmets while riding. Fortunately, 85% answered yes, while only 15% said no. Yet, roughly one-third (32%) of motorcyclists throughout the state of Florida do not approve of helmet use while riding, regardless of the increased safety percentages proven by statistics each year. Over 80% of the motorcyclists surveyed claimed that they always wear a helmet, over 15% of them said that they do wear helmet most of the time, and 2% of them claimed that they only sometimes wear a helmet. The survey also went on to show that only 86% of bike riders actually wear helmets, only 81% of bike riders wear a proper face shield or biking glasses, only 64% of bike riders wear biking boots, only 63% of bike riders wear biking gloves, and only 55% of bike riders wear a biking jacket or protective armored vest. Florida leads the nation in motorcycle related accidents and number don’t seem to be slowing down. 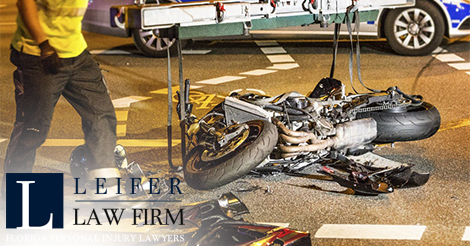 If you’ve been seriously injured in a motorcycle accident caused by the reckless actions of another, please consider speaking with an experienced legal professional Boca Raton motorcycle accident attorney to learn more about your rights and options.